There are between 15 and 20 million people who suffer with fibromyalgia. Undiagnosed hypothyroidism affects tens of millions of people in the United States. Even conventional medicine estimates that nearly 30 million Americans are suffering from undiagnosed hypothyroidism. So, if hypothyroidism is a common cause of fibromyalgia symptoms, then why aren’t conventional doctors catching this? Because they are taught to only look at a single blood test, the thyroid stimulating hormone (TSH) test, when it comes to evaluating a patient for hypothyroidism. So when this blood test comes back in the “normal range,” your doctor rules out hypothyroidism, even though you have its symptoms. He might tell you that you have fibromyalgia and give you pharmaceutical drugs to mask the symptoms such as Lyrica, Cymbalta, antidepressants, anti-anxiety medications, sleep medications, and pain medications. There is no diagnostic test for fibromyalgia. Doctors make a diagnosis by conducting physical examinations, evaluating symptoms, and ruling out other conditions. 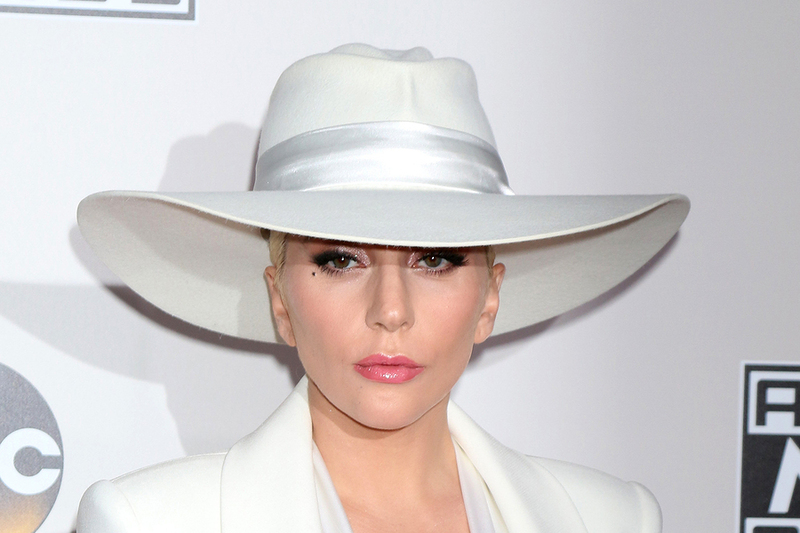 The article also mentioned that Lady Gaga was undergoing treatments to help ease muscle spasms. Supplementing with magnesium can help stop muscle spasms since magnesium relaxes smooth muscles. Magnesium is also essential for just about every function in the human body. Factors that contribute to magnesium deficiency are those that you experience on a daily basis, like exercise, stress, air pollution, medications, drinking caffeine and alcohol and even a simple headache. Magnesium is available in several forms: topical, liquid, tablet and capsules. Rebecca suffered from fibromyalgia for 15 years. She had muscle and joint pain, weight gain, she couldn’t sleep, and had no energy. Mainstream doctors were not able to help her – they only gave her antidepressants and pain medications. Watch as Dr. Hotze reveals how hypothyroidism is a common cause of fibromyalgia that is often overlooked by doctors and find out how Rebecca got her life back! We believe that by treating the underlying cause of your fibromyalgia, you can have a resolution of your symptoms. If you have been given a diagnosis of fibromyalgia and you have symptoms of hypothyroidism, even though your blood work is in the normal range, you should know that there is a better way. Research demonstrates that thyroid hormone therapy has reduced and eliminated fibromyalgia symptoms. (1) Research shows that symptoms including muscular pain and stiffness, and painful cramps resembling intermittent muscle spasms, were shown to be due to hypothyroidism, and responded to treatment with tri-iodothyronine (T3). (2) We treat fibromyalgia with a therapeutic trial of bioidentical thyroid hormone replacement and incrementally adjust your thyroid dose until your fibromyalgia symptoms are resolved. Do you really have hypothyroidism instead? Research shows that hypothyroidism is more common than is generally realized, and should be considered as a possible diagnosis in all patients complaining of generalized muscular pain and stiffness (fibromyalgia). (2) Don’t wait – take our symptom checker quiz now to find out if you have symptoms of hypothyroidism. Contact us today for a complimentary wellness consultation at 281-698-8698. Lady Gaga stated in her documentary “Five Foot Two” that she takes SYNTHROID!!! Watch the documentary at the point where she is in her doctor’s office and that is the first medicine she lists before they scramble her voice as she lists others. Thank you for sharing this! No wonder she is still having symptoms since Synthroid doesn’t work as well as desiccated thyroid. We will check out her video. We appreciate you passing this information along. The first thing I noted when she listed Synthroid was how awful it was for me and many others. It brings your basic thyroid labs up to normal but it’s terrible at actually abating the symptoms of hypothyroidism (muscle and joint pain especially). She needs to switch to Armour thyroid. When I did, my pain lessened by 80%. Someone needs to tell her this, poor thing. Also, she needs to be checked for Hashimoto’s. The flare ups of autoimmune disease can cause this kind of pain. There are many things she could be doing to help control those flare ups, if indeed she has it. Why is it that you downplay the synthroid? Millions of people take it and they’re just fine on it. I heard more problems with armour thyroid because it has quality control issues and inconsistencies dosages with patches.